An inexpensive yet very effective cleaning tool that requires no chemical cleaning products -- only water and some scrubbing action. The pumice stone is harder than most mineral deposits and stains that typically develop on toilets, yet softer than porcelain. As you scrub porcelain with a pumice stone, the stone wears away and leaves small particles of pumice dust on the wet surface. This dust combines with water to form an abrasive paste. As you continue to scrub, the paste and the rough pumice stone combine to form a two-fold strike against stains. 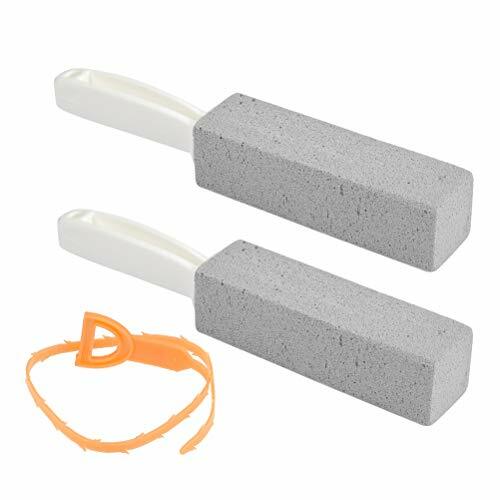 Pumice stones can also be used on other hard surfaces, such as porcelain bathtubs, tiles, oven racks and rusted metal tools. Do not use pumice stones to clean marble, laminate, plastic or fiberglass toilets; doing so will result in permanent scratches. A dry pumice stone will also scratch porcelain, so be sure to keep the stone and the toilet surface wet at all times. If you have any questions about this product by FOCCTS, contact us by completing and submitting the form below. If you are looking for a specif part number, please include it with your message.